To borrow from a great moment with Mr. Lincoln: we all declare for Disney; but in using the same word we do not all mean the same thing. Maybe you're a regular visitor to the theme parks, or grew up on Disney films. Perhaps you collect Donald Duck figurines, or Goofy, or Winnie the Pooh. Maybe you've been sucked into the Disney vortex because your daughter is ga-ga over Zac Efron and the Jonas Brothers. It's OK. You're all welcome here. Maybe, like me, you enjoy a little bit of Disney everything. 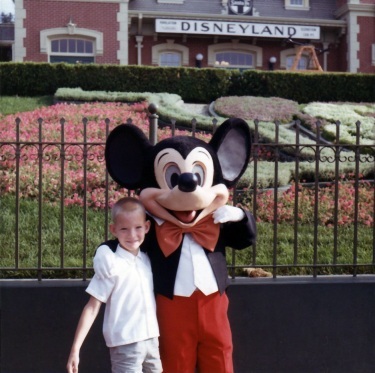 I grew up in Northern California in the 1960s, and at age two made my first summer trip to Disneyland, a family tradition that would continue for another dozen or so years. As a kid I watched "The Wonderful World of Color/Disney" on Sunday nights and poured over the pages of "Disney News: The Official Magazine of Magic Kingdom Club Families." The first two movies I remember seeing in a theater were "Mary Poppins" and "Snow White and the Seven Dwarfs." 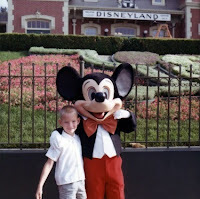 My indoctrination into the Church of Walt started at a young age and I've never outgrown it. I still make regular trips to Disneyland and (when it's in the budget) Walt Disney World. I've been to the Walt Disney Studios in Burbank twice and the Walt Disney Archives once (another story, another time). I have a collection of Mickey Mouse figurines--Steamboat Willie mostly--that adorn the mantle over my fireplace (yes, we call it the Mickey mantle). I own a DVD of every animated feature put out during Walt's lifetime, and most every one released since his death. I have boxes full of Disney brochures, guidebooks and souvenirs, and shelves full of Disney books and biographies. I've got it bad, and since you've read this far, I suspect you do too. Which brings us to this blog. Since 2005, I've been occasionally blogging, covering news and generally screwing around on MiceChat, for my money the best Disney fan board on the 'Net. Lately, however, I've been itching to be better heard above the cacophony of nearly 30,000 slightly (and not-so-slightly) crazed Disney fans. I've also been looking for an excuse to re-energize my neglected Disney News Archive website (I promise to do a better job, honest). Shooting off my mouth about all things Disney, not just vintage magazines, seems the best way to do that. So, what can you expect here in the future? I'm really not sure, and that's the beauty of it. Like my fandom, I plan to be all over the board discussing park happenings, movie and video releases, Disney history, personal reminiscences--whatever comes to mind and sounds interesting. I plan to update my blog every Sunday (notice I said "plan" not "promise") and maybe post occasional items during the week as the mood strikes me. I don't expect to cover a lot of breaking Disney news (there are a ton of other sites out there that do it much better), but I won't hesitate to throw in my opinion when the situation warrants. And what would you like to hear about? Click the "Feedback" link to the right and let me know what's on your mind. Welcome to Tim's Disney News Archive Blog. I hope you like it.